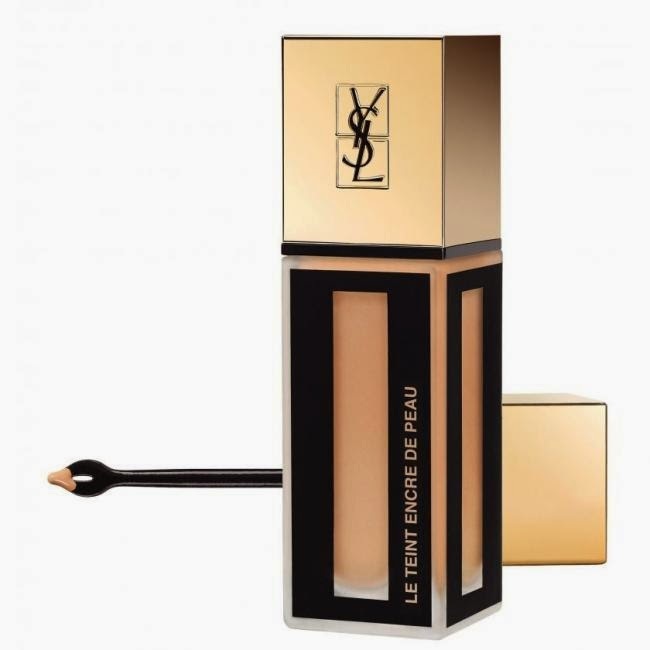 NEW YSL Le Teint Encre de Peau/ Fusion Ink Foundation - all you need to know! I had the privilege of attending a preview of the Yves Saint Laurent A/W Collection (more about that up on the blog later on in the week) and to learn about and sample the new revolutionary le Teint Encre de Peau foundation (also going by the moniker of Fusion Ink foundation). By way of background, I am a huge fan of the YSL Le Teint Touche Eclat foundation which has been a summer staple, and I oft enjoy all the skincare benefits and coverage from the YSL Youth Liberator foundation. 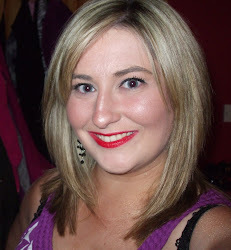 In short- YSL foundations just do it for me, and I am not easily pleased when it comes to foundations. Now what was supposed to be an event to introduce us to this new foundation actually turned out being a one on one with the lovely Fred Letailleur, which was awesome from my perspective because I benefited nicely from his vast knowledge of the products and techniques. I met Fred first last year at the launch of the Spring/Summer '14 collection and he is a gentleman. Armed with my ipad, I fervently took down as many notes as possible and I'm here today to share all the information with you and tell you what I think of the new foundation. Le Teint Encre de Peau is the result of 7 years of research and trials spearheaded by YSL Creative Director Lloyd Simmonds. This foundation is a long wear foundation like no other and the first foray by YSL into the long wearing foundation domain. Fred pointed out that unlike other long wear foundations, the polymer fillers have been removed from this formula, a formula which is both lipophilic (oil absorbing) and hydrophilic (sweat absorbing). Translation? A lightweight formula with oil and sweat absorbing powers that will last you up to 24 hours if your skin is primed correctly. This new Fusion Ink foundation is available in 16 shades- 14 of which have already been released and correspond with the shades of the Le Teint Touche Eclat and Youth Liberator foundations, and the introduction of two new darker shades for ladies with a more sallow complexion. For reference, I take BR20 in YSL foundations and I am pretty pale but it's easy peasy to get shade matched. Fred also pointed out that these shades do not oxidise on the skin and the colour stays true even when applied on your face. Fred recommends applying this with a flat foundation brush, and I *balked* at the suggestion, mostly because I never ever use flat foundation brushes, I'm a buffing/flat top kabuki kinda gal. Fred actually used a flat foundation brush to apply the foundation on my face and I have to say, it was a pretty flawless finish, so I'm going to follow suit and see if I can put his tuition to good use! What makes this new foundation quite special is that it does not come with a pump- and no, don't sigh with despair, it comes with a freakin' QUILL! I kid you not and I attach photographic evidence as proof! Not only is it darling BUT it makes application simples- two dots on the forehead, two on your cheekbones, two on your lower cheeks and one on the bridge of the nose- take your flat foundation brush to that and work your magic. Fred recommends two coats for optimum coverage- the first coat does apply quite sheer but it sets the skin up- the second coat will leave you with an absolutely flawless but not flat finish. I was genuinely shocked with the coverage this provides because I couldn't spot any freckles or blemishes, just perfectly even complexion, and the foundation felt SO DAMN LIGHT on my skin. I love a full coverage foundation, particularly on nights out, but I hate feeling like I have a mask on my face. I am truly baffled at the coverage that the Fusion Ink foundation offers. The overall effect is quite matte, definitely not a dewy foundation, but Fred kindly demonstrated by applying some Touche Eclat that it is easy to add luminosity to the face if that's the look that you require. The foundation is also thin enough to be incredibly easy to build, and the silicon oil base evaporates incredibly easily to ensure longevity. Now, I've told you the facts, but now I am going to tell you if you NEED this revolutionary ink foundation in your life or not. It's clear to see that this foundation will be universally appealing for women of all skin types (dry/combination/oily etc) and for women of all ages. Fred did point out that if your skin is particularly dry, it is important to use a serum or cream to perfect the balance of your skin in advance of applying the foundation and to help with ease of application. Fred actually used the Forever Young Youth Liberator Serum on my face when he applied the foundation and my skin looked and felt amazing afterwards. As with all foundations, if you prepare your skin properly, you will reap the benefits when it comes to achieving a perfect foundation. I think this foundation, due to it's natural and lightweight feel on the skin, coupled with its longevity, will be an absolute godsend for busy women who want their foundation to last all day long- professional women, busy mothers, women on holidays- it ticks so many boxes. This foundation is €38 and will be available exclusively in Brown Thomas from 20th August. The packaging is just divine in my opinion, it looks very luxurious and was actually modelled on a male tuxedo believe it or not! Are you tempted by this latest Yves Saint Laurent foundation offering? A quill?! I'm so intrigued, will be swatching this one when it comes out for sure! Also... a quill? OMG so cool. I didn't get on with Teint touché éclat but I'd give this a try, not sure about the flat foundation brush thing though!! I don't think this foundation is suitable for dry skinned gals like myself. No matter how much serum and moisturizer you pit on, if you have an oil and moist absorbing fountation, it would be like wearing a blotching mask all day. No, no, no. Does it feel "greasy" like Armani's Maestro?